I slept after doing my usual early morning chores as online writer. I had worked full-time as search engine optimization specialist for almost six months now. I love working on early mornings. I wrote articles and built links since 3:00 o’clock in the morning. After almost two hours of pounding on my laptop and finishing my second article, I decided to stretch on the rattan sofa and catch some sleep. Ted came to stay with us in September 2009. For over a year, we enjoyed his company, an ever trustworthy and loyal companion. Despite his old age, Ted never ever let us down except for some few occasions beyond his control. Our daughter, Jadyn Joan started going to Nursery class in 2009. We observed that almost every month she had bouts of asthma. Then we learned she’s allergic to pollen and dust. Also, she was quite affected with the noonday sun. Their Nursery class dismissed at 12:00 o’clock noon. 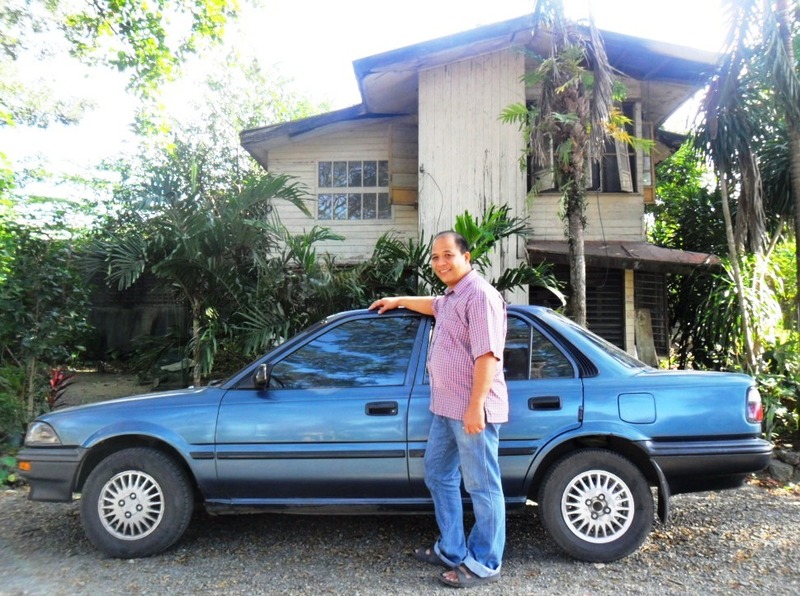 One day when I and Melvin were talking, he mentioned in passing that he’s selling his old car because he is getting a newer one. I expressed my need for a car to ferry our daughter to school and home. 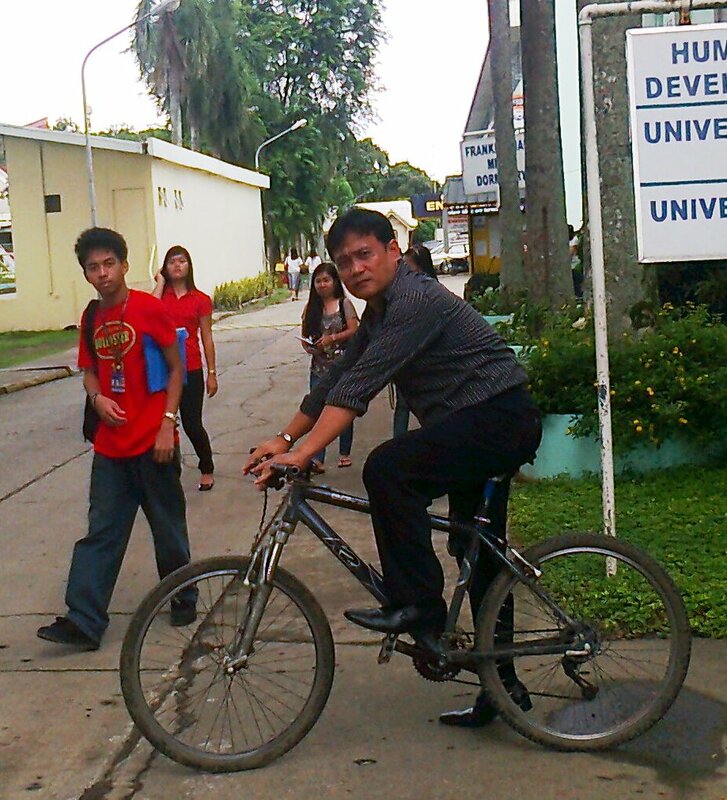 I was just an employee of Central Philippine University and my meager salary could only afford to buy a very old car. I and my family are grateful to Dr. and Mrs. Melvin Mangana for sharing Ted to us. This photo would always remind us that we had once a family member named Ted. After wiping the last wet part of Ted’s hood, I summoned my wife and daughter to come. We took time taking pictures with Ted. His new owner was coming that morning and he’s taking Ted with him. We love Ted but we have to let go of him because we need a bigger vehicle, possibly a wagon, to carry our family belongings. Also, we were leaving CPU and we had to vacate the Vaflor’s house in the campus where we stayed for six years. We love Ted but we have to let go of him because we need to go somewhere where truth and justice prevail. Hi Jonan, hope you remember me and our discussions on your blog after you left CPU for New Zealand. I told you that you are now in a better place. Glad to read your story regarding Ted. “Gone but not forgotten.” I am so happy for you and what you have achieved since. Continue your good work. God bless you and your family. Yes, I remember our discussions and most of all your encouragement. 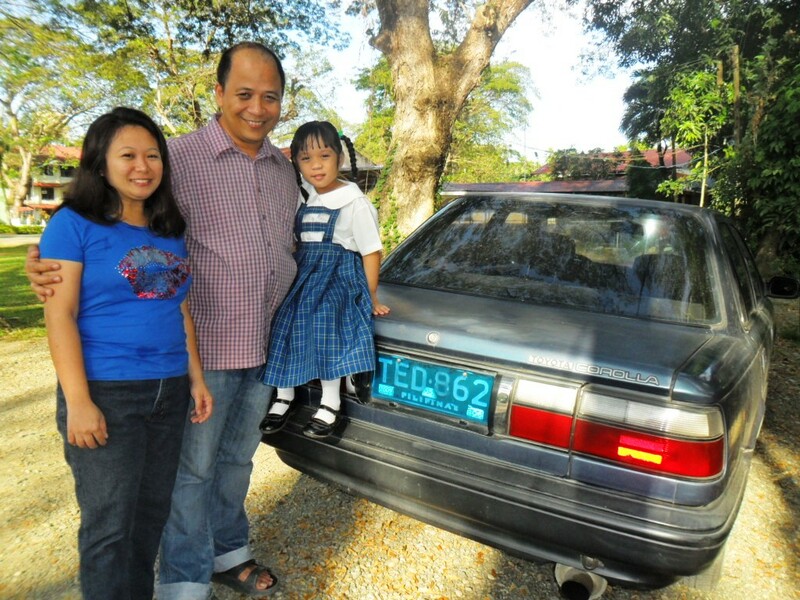 Thank you for appreciating the post about our car “Ted”. Trusting God’s guidance and for all that I do and achieve I give all the glory and honor to our God Almighty. God bless you and your family too. Thank you. Fantastic Jonan a real storytelling skill there – I have a writing skill too. And I think I’ve had hard times – yeah right !!! More power to God for bringing us BOTH through!!! People who look forward gracefully, but look back (a bit) gratefully will always live life happily! What a great symbolic story. Regards! Thank you boss plus my heartfelt gratitude for your support as colleague and friend during my turbulent last days at CPU. I am greatly inspired by your thoughts and words Maricar. Thank you very much. I believe that it is your faith in God and what He can do that makes you say confidently that we will overcome. May I say that you are right about me and my family surpassing all the challenges. What is amazing, God provided much blessings, much more than we expected. We praise Him!